Lehi is commanded by the Lord that his sons should return to Jerusalem to find wives that they might raise children unto the Lord in the Promised Land. Nephi then asks them how they can deny having seen an Angel of the Lord or forget seeing the hand of the Lord in delivering them from Laban. Nephi asks; “…how is it that ye have forgotten that the Lord is able to do all things according to his will, for the children of men, if it so be that they exercise faith in him? Wherefore, let us be faithful to him.” (1 Nephi 7:12) Nephi explains to them that if they work hard and exercise faith in the Lord, they will obtain the Promised Land. Nephi warns that if they return to Jerusalem, they would perish. 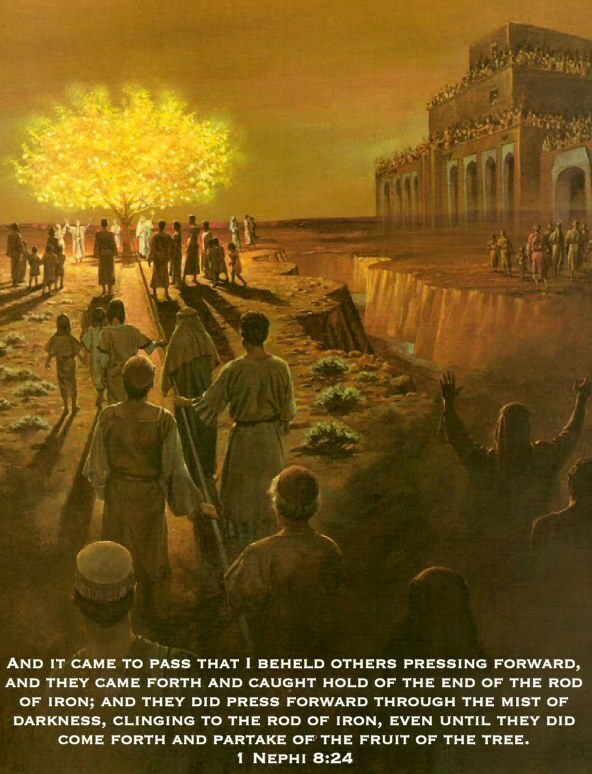 After speaking these words, Laman and Lemuel were upset with Nephi insomuch that they bound him with cords “….they sought to take away my life, that they might leave me in the wilderness to be devoured by wild beasts.” (1 Nephi 7:16) Nephi prayed to the Lord that he would have strength to break free from these cords, and upon saying these words to the Lord; “…behold, the bands were loosed from off my hands and feet, and I stood before my brethren, and I spake unto them again.” (1 Nephi 7:18) This however only enraged Laman and Lemuel even more! They moved towards Nephi to take his life when; “…one of the daughters of Ishmael, yea, and also her mother, and one of the sons of Ishmael, did plead with my brethren, insomuch that they did soften their hearts; and they did cease striving to take away my life.” (1 Nephi 7:19) Laman and Lemuel agreed to not take the life of Nephi and in doing so were brought to sorrow and did plead with Nephi that he might forgive them. Nephi accepted their forgiveness and they continued their journey into the wilderness to the camp where Lehi was waiting. There, they gave thanks to the Lord and offered burnt sacrifices to Him.